This is the story of Ephram Jennings' love for Ruby Bell in a small town ironically called Liberty. Ephram, the son of Reverend Jennings, has loved Ruby since he was a child. 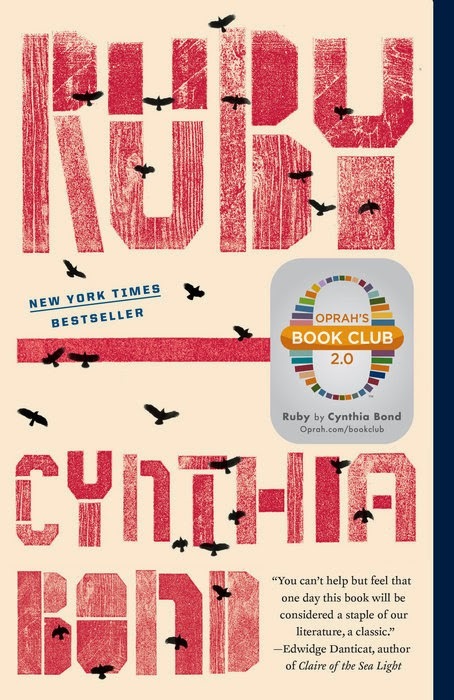 Ruby has had a tragic childhood, she has been abused and forced into child prostitution so as soon as she can escape she flees to New York, hoping to find her mother. Years later, Ruby receives a telegram from her cousin which brings her back to Liberty. Ruby is labelled a crazy woman and a Jezebel as the menfolk waste no time taking advantage of her. Ephram lives with his sister, Celia, who has cared for him since their mother was institutionalised. Ephram finally plucks up the courage to visit Ruby, much to the disgust of Celia. Ephram finds Ruby living in squalor and rolls up his sleeves and starts cleaning both Ruby and the house. It is at this point in the book that the most memorable scene for me is described. Ephram has washed, and is untangling, Ruby's hair when he experiences visions and emotions brought on by each strand of hair that has lived through one of Ruby's experiences. This really was an amazing piece of writing and was described so clearly that I couldn't help but feel quite emotional at the end of it. The thought that our hair holds on to our feelings during different events in our life was quite inspired. Instigated by his sister, the people of the town try to lure Ephram away from Ruby with disturbing consequences. Ruby's struggle with her sanity and the ghosts of her past was at times sad but I also felt enraged at the people who made her feel so unworthy. I was delighted that Ruby's strength appeared in full force at the end. This is a book not to be read lightly. It is incredibly disturbing in the descriptions of the abuse and sad that these mindless events tried to shape the woman that Ruby became, to the point where she almost lost her mind. 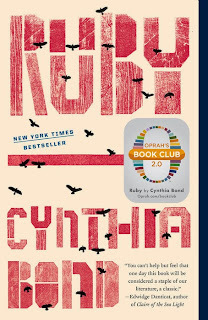 Ruby may be a work of fiction, but there will have been many Ruby's not just in the deep south of America but throughout the world. 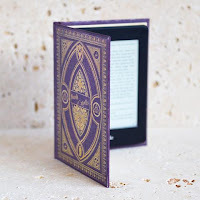 I received this e-book from Blogging For Books in exchange for an honest review.